DC Cupcakes has been signed for a second season. Television and it’s viewers never cease to amaze me. 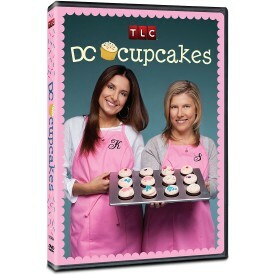 After watching last week’s episodes of DC Cupcakes I was still partial to the show. Yes, that’s right, I watched every single episode of this short premier season and am still not sure I even really liked the show. That is a total three hours wasted of my life, not including the hours I’ve spent thinking about how disappointed I am in Georgetown Cupcake owners Sophie and Katherine. Reports say that the finale week reached 1.5 million views, which is up from the 1.1 million viewers from the premier. These are pretty good numbers for a new show, it’s no wonder TLC signed for another season. I want to love DC Cupcakes so badly, there’s no doubt I’ll be watching the second season. In the mean time, I’ll be here hoping that TLC at least plans to revamp the show and get the girls a little more comfortable with the cameras before airing season two. I had such high hopes for this show, and at this point I’m beginning to think my hopes were too high. So far this summer I’ve found myself hooked to Saturday Cake Boss marathons on TLC. Then later that week I’ll even re-watch those episodes. That is madness! But afterwards I’m always happy with the time I’ve spent and never found myself fast-forwarding through the DVR to get to the end. If only I could say the same for DC Cupcakes. This week’s episodes were charming, but like I’ve been saying they are completely lacking reality. Here’s what I think: Sophie and Katherine are nice girls but are putting on an even nicer show for the cameras. No matter how scripted it seems, I can’t stop watching. From the numbers of the premier it looks like you couldn’t stop watching either. For the series premier 1.124 million of us switched on TLC and 34,000 more tuned in for the second episode. As soon as some current numbers come across our laptop I’ll let you know. I almost hate to say I’m looking forward to next week’s episodes. 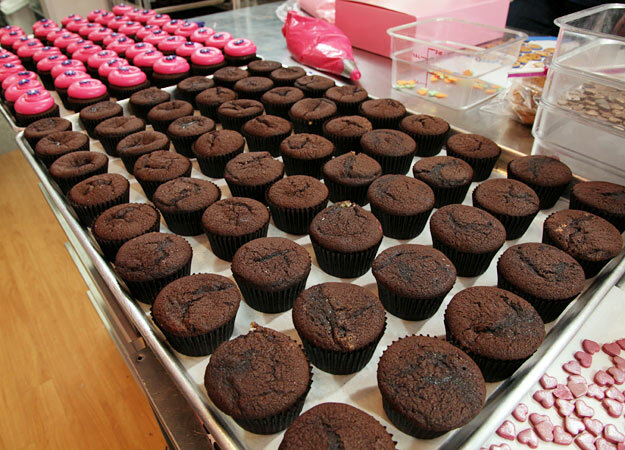 DC Cupcakes premiered this weekend and it was good. Not great, not bad, but good. While I was hooked enough to at least watch next week’s episode, I’m hoping it develops a little more. There are some reality shows that we know in our minds are produced, and then there are reality shows in which producers throw in our faces that they’re putting the scenes together. Unfortunately, these first couple of episodes were more like the latter. Here’s what we liked: The relationship between the sisters and their mom, not to mention their mom and the entire staff. We LOVE the cupcakes, their ideas and enthusiasm. BUT. It needs to be more natural, less pieced together. 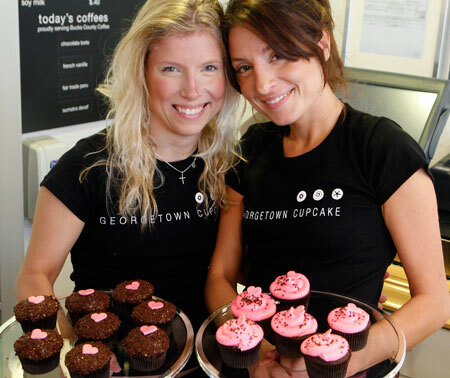 We can only imagine how crazy it really is behind the scenes at Georgetown Cupcake on Valentine’s Day with a huge last minute order. And even though that’s what this episode featured, TLC didn’t give us their best. One review, which I found a little too harsh, is however well stated and a little humorous, definitely worth the quick read. I’ll give the girls one more chance. So, most of you probably have more exciting Friday nights than me, but I will be here watching DC Cupcakes on TLC just as soon as the DVR runs for a minute. For any cupcake lover, reality show lover, TLC addict I think this is one show we’re going to fall in love with. And considering I fall under all three of those categories I’m pretty excited about tonight’s premier. Now it’s time for the show! If you happen to miss it, check back here for a recap later this weekend! Let the cupcake craze officially explode. If you don’t already have a cupcake obsession, you will in two and a half weeks when TLC premiers their show DC Cupcakes. I’ve had friends who’ve lived in DC and have had nothing but rave reviews for the bakery. 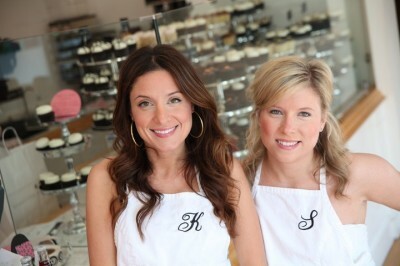 Sisters Sophie LaMontagne and Katherine Kallinis opened the shop on a leap of faith. Their recipes are über secret, and of their 60 employees only the sisters and two other employees know the ingredient details.